Prominent & Leading Manufacturer from Rajkot, we offer diesel engine parts, auto diesel engine parts and diesel engine spare parts. We bring forth our vast industrial experience and expertise in this business, indulged in rendering Diesel Engine Parts. 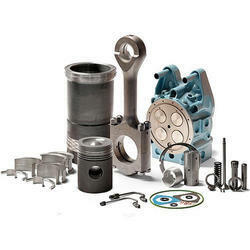 These Diesel Engine Parts are provided by using advance techniques and machineries. Clients can avail these Diesel Engine Parts from us at most reasonable price. We bring forth our vast industrial experience and expertise in this business, indulged in rendering Auto Diesel Engine Parts. These Auto Diesel Engine Parts are provided by using advance techniques and machineries. Clients can avail these Auto Diesel Engine Parts from us at most reasonable price. Auto Diesel Engine Parts are durable in nature. We have been counted amongst the most trusted names in this domain, involved in providing Diesel Engine Spare Parts. These Diesel Engine Spare Parts are provided to both commercial and industrial sectors for their varied uses. Furthermore, our Diesel Engine Spare Parts are provided in cost effective and efficient manner. 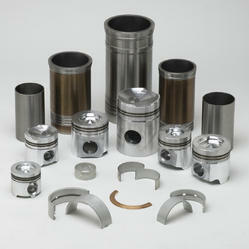 Looking for Diesel Engine Parts ?